Plot: At the Kremlin, Downing St. and White House the Heads of State confer with their Intelligence Chiefs over the recent capture of Enemy Agents in their territories. However under integration the captured men all decompose; seemingly after an alien hand has sent out a signal. Panicked the order comes down to shut down any investigation into what has gone on. However British Agent Mike Walsh, having witnessed the strange ‘melting’ of the spies decides to covertly pursue the only lead in the case – that the spy apprehended by the British had come from an Australian town. Soon he arrives at an outback roadblock where he is overpowered by a group of men who are the identical ‘twin’ of the captured spy. They take him to a deserted mine-shaft that contains the only Alien survivor of a UFO crash. 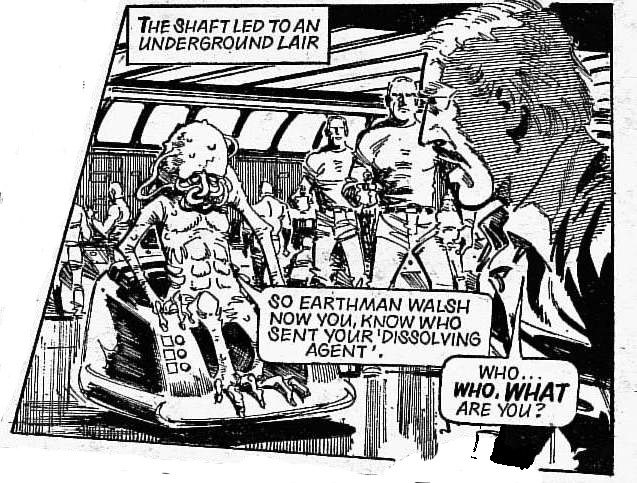 The Alien reveals the synthetic men are part of his plot to come to power and Walsh starts a fight to halt the fiendish plan. He finds and hits the mystery button seen earlier. Shock: In the Kremlin, Downing St and the White House the Heads of State all melt. 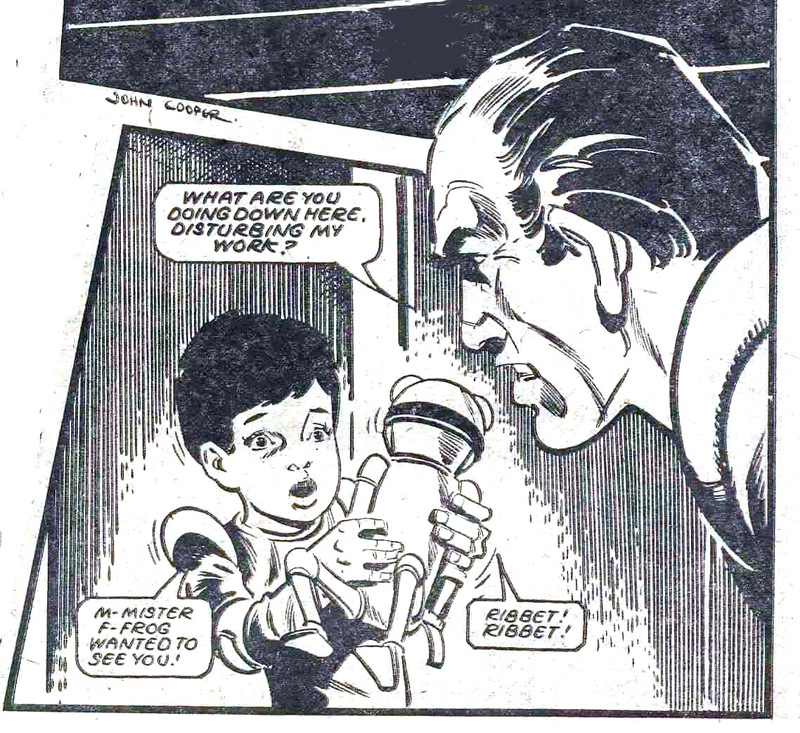 Thoughts: A mysterious script Droid, Nick Tufnell in his sole appearance in 2000AD, writes a very different Future Shock that manages to encompass a great deal of detail and adventure as well as a more traditional ‘Flash Vs Ming’ confrontation between man and alien. A likely pseudonym for another writer, Tufnell delivers an excellent script with a nice ‘repeated panel’ intro and conclusion on pages 1 & 4 to show the ‘concerned’ Heads of State and then the very same men melting away. As a Shock it works well as Mike Walsh’s traditional-style adventuring has taken the reader away from the role of these characters. 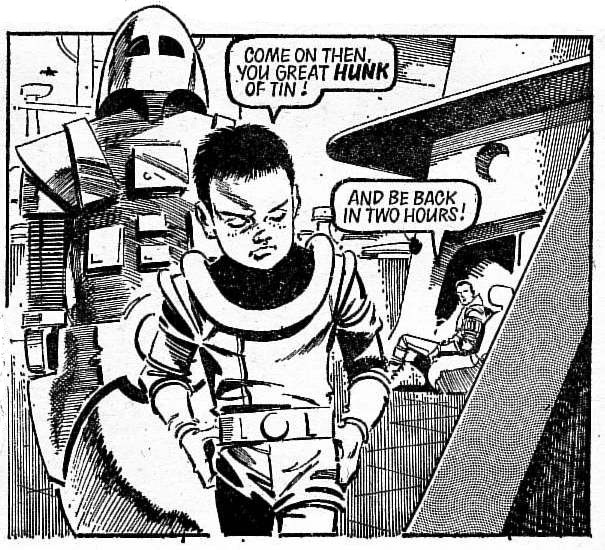 The ever excellent John Cooper, still drawing Future Shocks 30 years later, brings his traditional square-jawed men to the proceedings and helps produce a very polished Future Shock with a very british boys-comic feel to it. Shock’d? More of an adventure yarn with its consequences but the impact on the President, Prime Minister and Chairman of the Communist Party has been nicely disguised by the focus on Walsh so there is a shock as they melt away in their executive offices.